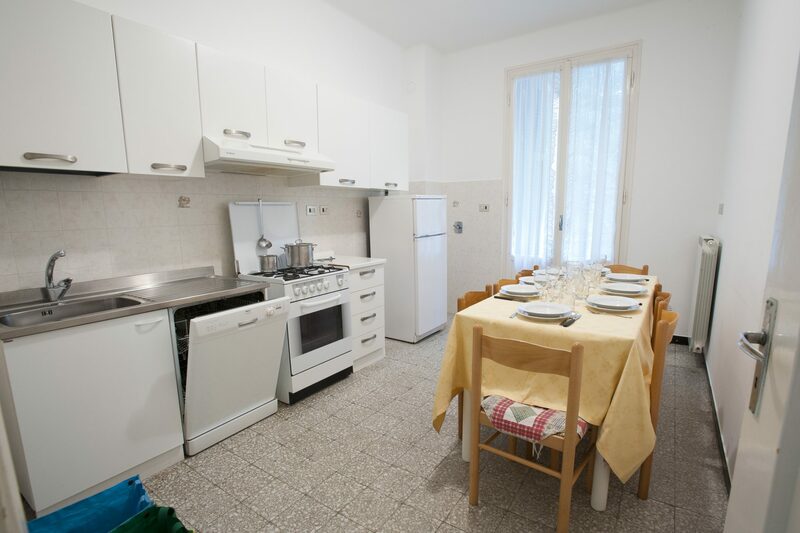 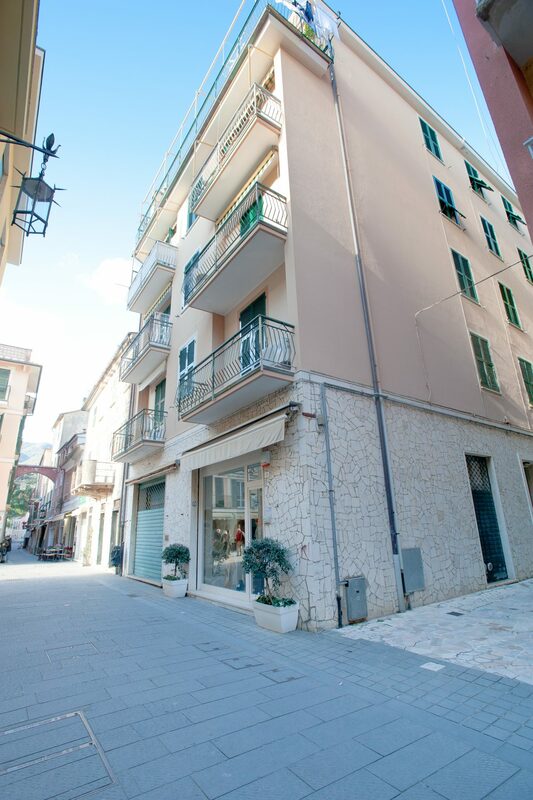 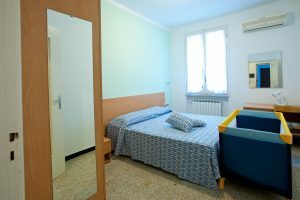 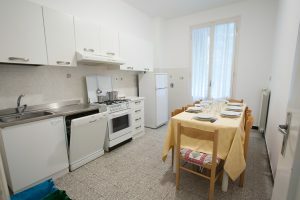 Apartment of 110 square meters located in Via Vittorio Emanuele 56/4 about 100 meters from the reception of Giada Residence. 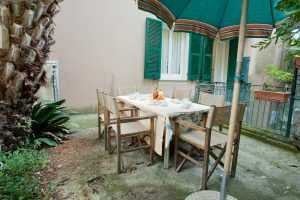 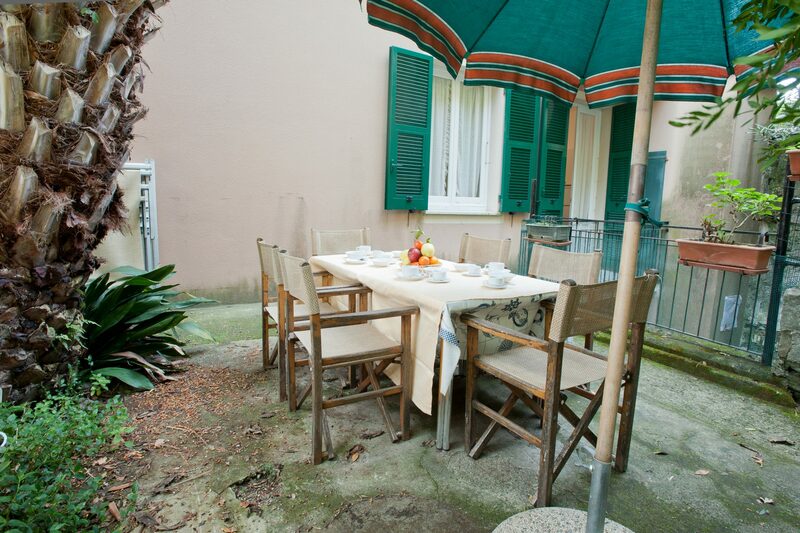 It consists of: entrance – kitchen (dish-washer, oven, kettle and kitchen tools are included), balcony and access to the garden of 25 square meters. 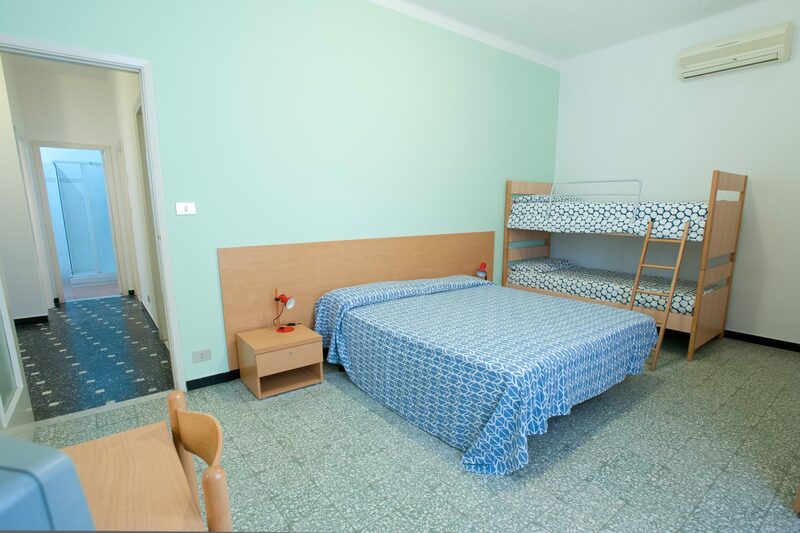 Double bedroom and double bedroom with bunk bed. 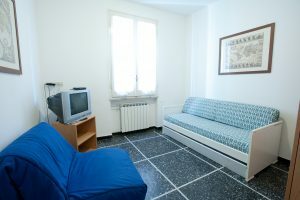 Living room with TV and double sofa bed, two bathrooms (one with shower), washing-machine, bath products. 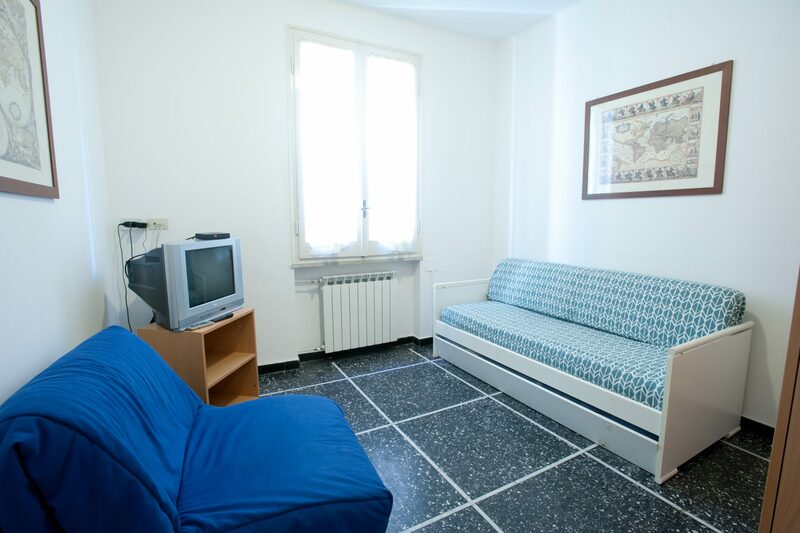 Air conditioning, iron and ironing board, hair dryer. 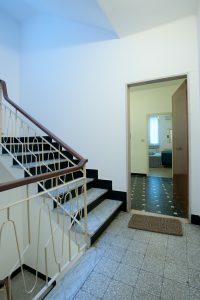 Located 40 meter from the sea but without sea view.